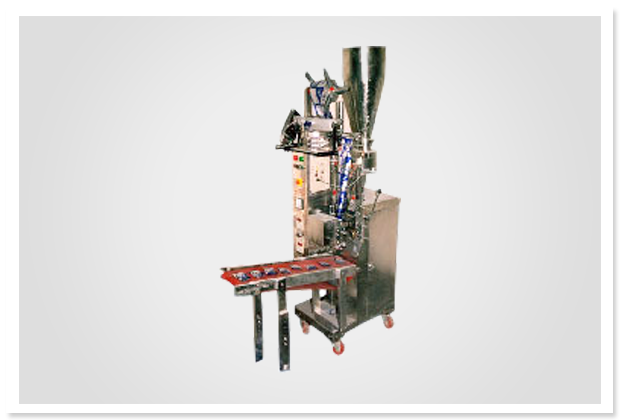 Form Fill Seal Machines For Powder|Fill Seal Machines|manufacturers and suppliers in Mumbai, India. Supplier & Manufacturer of Form Fill Seal Machines For Powder. Our product range also comprises of Heat Shrink Tunnel Machine, Shrink Tunnel Machine and Shrink Tunnel Heavy Duty. Vertical form fill & seal machine for producing the center sealed handing all type of free flowing & non flowing product. Very easy adjustment machine. All part in contact with product are manufacturing in stainless steel . Accurate sealing die temperature control and fully controllable die pressure.